OK, I'll try not to be overly critical or cynical. I'll try my best. But the old Watchdog is not too good at NOT being cynical when it comes to mega churches and their marketing techniques. 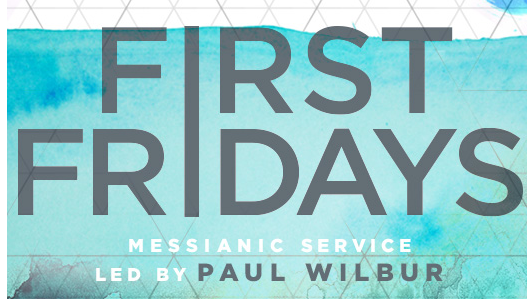 At left is the Celebration Church website flyer for a new "Messianic Service" they are going to start holding the first Friday of each month. "The service is Jewish in form in that we light shabbat candles, read from the Torah in Hebrew, close the service with the Aaronic Blessing in Hebrew and worship with songs that are Messianic in flair and lyric. Both Jews and Christians will feel at home during this service and encounter the God of Israel in a new way." OK. I'm really trying to be generous here. I want to understand. So Celebration is a "church", and at this service led by a minister of the church, the church is going to hold a Jewish Messianic service centered on the Torah - the first five books of the Old Testament. And they will light candles. And speak in Hebrew. I'll leave the analysis of whether this is a valid function of a church up to the experts. I just have lots of questions: is a Messianic service centered around Jesus Christ? Is the bible preached, or just the Torah? Is this a service geared toward converted Jews, or is the purpose of the service to attract Jews to the worship service so they can they be converted to Christianity? Or both? Will Celebration preach tithing to the Jews? I'm sorry, it is my job to ask these uncomfortable questions. After all, I'm sure Stovall can preach tithing to the Messianic Jews, using Melchizedek and Abraham's tenth of his spoils - and borrowing a few verses from Malachi 3, so I'm just asking. Will Celebration be holding Muslim services on the SECOND Friday of each month? How about a combined Mormon and Jehovah's Witness service on the THIRD Friday of each month? Ergun Caner could fly in once a month for the Muslim service, I'm sure. This looks like to me a marketing ploy. A church is a church. A synagogue is a synagogue. I mean Celebration Church did admit that "it is all about the Benjamins", right? Go ahead, tell me I'm way off base. And convince that I should not at all be skeptical that this is a marketing ploy instead of a real ministry that is part of the function of a Christian church. 1. "Ask Jesus into our heart" is not in the Bible. Neither is "Give your heart to the Lord", or repeating a "sinner's prayer". These practices do not exist in Scripture at all. The subject of salvation is the most important subject in the Bible and we are being lied to about it. These doctrines are a total fabrication. They were invented to make salvation "quick and convenient". Many church members today who are relying on these things are clearly not 'saved' at all. 2. Church buildings do not exist in the Bible. They were invented around 200-300 AD, when the church was in serious decline. Only a backslidden church could fall so far away from the simplicity of the early church. Church buildings are anti-New Testament, and bring with them a host of problems and traditions. It was basically when the church fell into the hands of Rome that this concept of the "cathedral" really took over. And we are still spending millions on these monuments today. 3. The "one pastor runs everything" model is totally unscriptural. Far from running everything, in the book of Acts we find the word "pastor" NOT EVEN USED ONCE. (-The early church did have strong leaders and elders. But it was never a "one man band" like we see today. And never was it so "controlling" either). 4. "Tithing" is not a New Testament practice at all. And it is being shamefully abused by today's preachers. In the New Testament we are told to give cheerfully - whatever we purpose in our hearts to give. Telling people that they MUST give 10% to the church or they are "robbing God" is totally sick - and a money-grubbing way of twisting Scripture. There is no evidence that the apostles EVER preached 'tithing' to New Testament believers. It was clearly regarded as an Old Testament practice. 5. The words "prosper" or 'prosperity' were NEVER used by Jesus at all - and only exist a couple of times in the entire New Testament. Yet greedy preachers have built whole kingdoms upon them. The words - "sell what you have and give to the poor" and "deceitfulness of riches" and "you cannot serve God and mammon" and "woe to you that are rich" were DEFINITELY used by Jesus and the apostles. But we don't hear these things preached too much, do we? 6. There were no Bible Colleges, Seminaries or degrees in the New Testament. The only people who seemed to have "Bible Schools" were the Scribes and Pharisees! The apostles were simple fishermen and tax collectors. It is likely that a number of them could not even read or write. What was their "qualification" for being in the ministry? Simply that they had SPENT A LOT OF TIME WITH JESUS. The fact that people expect a "professional clergy" today with degrees from Bible College has helped to make the church sicker and more unscriptural than ever. Simple humble people with a calling from God often cannot get to minister because they do not have a "piece of paper" to make them 'qualified'. -Yet another disaster for the church. 7. There is almost no evidence whatsoever that the early church had their "main meeting" on a Sunday. They gathered together 'from house to house' virtually every day! There were no church buildings. They did not dress up and "go to church". There were no denominations. There were no separate groups with different 'labels'. They lived their lives together - all the Christians in the local area. Love and fellowship and 'koinonia' were as natural to them as breathing. And the apostles in Jerusalem preached every day at huge open-air gatherings. -Not "hidden away" inside four walls. This was truly a "street church" in every way. 8. The idea that you can replace the moving of the Holy Spirit with programs, programs and more programs just shows how low we have sunk. Man-made programs are everywhere today. The early church had much more of God and much less of 'man'. Believe on the Lord Jesus Christ and thou shall be saved. Its that simple. If we are to witness to the Jews or anyone else they have to accept the risen Lord of the Bible who is found in the Old testament as well as the New. I think it's a marketing tool-it's something new and different-just as businesses have to have a new twist or a new product to get renewed attention and prevent boredom. Are Christians gonna start attending synagogue? No. And Jews will not attend this thing. Besides, rather than another entertainment, shouldn't Christians be busy visiting prisoners. Helping poor etc? Maybe they can blow the shofar too!!! Thats very Jewish. Lynn. Very astute point. As christians, we often engage foolishness, but your point is bang on!!! Are Jews going to attend these services? No, most of us know that the messianic movement is nothing but christianity dressed in Jewish trappings. The entire point of it is conversion to christianity. I wonder if their Hebrew will really be gibberish like Caner's Turkish? You'd be about as likely to find Jews at that service as you would be likely to find Jews at a... well, you're not likely to find any Jews there. It's just going to be existing church members being goofy and "playing Jew." I guess there will be no baked ham at the fellowship supper. Tithing is not a new testiment principle that just goes to show what the pinhead at the beginning of this blog knows about the Bible. The Old Testament is the template for our faith it is our school master according to the scripture. By the way who cares what you think it's what the Word of God says. Just noticed you said you were small. Don't forget that. It appears that Celebration may have "stolen" the "First Friday" plan from Gateway Church in Southlake, TX. Stovall Weems and Robert Morris are close friends and regularly preach to each other's congregations as celebrity guest pastors and recommend each other's books. Gateway's Messianic services started in 2006 under Rabbi Geoffrey Cohen, a wonderful man from South Africa who was raised Jewish and later found Jesus. The pretext of the Friday Jewish service at the protestant church facility is to evangelize to Jews and convert them to Christianity. The more obvious angle is yet another man-made marketing program to get more people in the doors on a day other than Sunday. Yes, they have a shofar, Hebrew, candles, singing and dancing that retain the Jewish cultural traditions, as well as electric guitars, drum kits, big screens, stage lighting, and all the rest. Pastor Cohen teaches from both the Old and New Testament, not just the Torah. Robert Morris (aka Tithesenberg TM) has made his life's work about twisting the scriptures in such a clever way that it totally convinces seeker-friendly mega church evangelicals that if you don't give at least 10% of your gross income to the local church, you are stealing from God (Malachi 3:10) and therefore your life, your families, and your finances will be cursed. The code name for Morris' false doctrine is called "The Blessed Life" (sermon series, book series, and TV series). The reason that Morris' "Blessed Life" series is so popular as a celebrity guest pastor is that he brings in the cash. His own Gateway brings in $2,000,000 per week (yes that's over $100,000,000 per year) and after Morris guest-speaks, local church contributions go way up. So the host church (in this case, Celebration) is willing to "look the other way" on the lack of applicability of Malachi 3:10 to New Testament believers, in exchange for massive cash flows that the congregation coughs up. Somehow the verse on not being able to serve both God and mammon gets overlooked in the eager rush to count all the new found cash. The corrupting influence of money at Gateway is evident in the Jewish Ministry in a cruel way. You see, Pastor Cohen, his wife, and his three adult children, all five of them have (or have had) their personal net incomes (including book royalties) tied directly to employment by Gateway, a sum that more than likely has exceeded $1,000,000 to his family over the past 8 years. Of all the 200+ pastors at Gateway, Cohen might be in the best theological position to speak the truth, that believing in the false tithe message of Morris puts the believer back under the Mosaic Law, which nobody has ever fulfilled, thus insuring eternity in hell. I wish Cohen had the courage to speak the truth, that the Mosaic Law tithe is no longer a requirement, and we are under grace, and by simply having faith in Jesus you can be saved. Sadly, it appears that Cohen has chosen to compromise the Word of God instead of compromising the high income and status he and his family enjoys from Gateway. However, by remaining silent, Cohen makes the implicit approval of the false tithing message of condemnation, and he assists in putting all Gateway members under the curse of the Mosaic Law and keeping them there, while nullifying the finished work of Jesus on the cross. So instead of Cohen shining the light of truth, the congregation stays in darkness, and Morris gets very rich. It appears that Celebration, Stovall Weems, and Paul Wilbur are following down this same path. Your skepticism is well founded, Watchdog. This service was held at New Life Christian Fellowship in Jacksonville for years by Paul Wilbur. It has simply been transferred to Celebration Church. Therefore,this is not new for Jacksonville and did not originate at Celebration Church. Even in the small city I live in I've met several Christians who like to call themselves Messianics.And with all the teachings out here about the Jewish Jesus and God's eternal blessing on the Jews,it's no wonder to me. The pastor and youth pastor of the small baptist church I used to attend even discussed buying a leg of lamb and doing a Christianized passover seder on Good Friday. This church never celebrates the Lord's supper even and I think it's out of fear of perhaps killing any of the little congregation they do have.They don't want anyone to eat it unworthily. So a passover seder might be safer not to mention much tastier than crackers and grape juice. That is as long as it all gets eaten that night with no leftovers.But nobody likes horseradish-ooh! Shalom Friends ;) I have attended Gateway's Messianic service a few times. To answer some of the questions, the service is both for Messianic Jews, those who trust in Jesus as Messiah AND it is an outreach to help lead unsaved Jews to Christ. Gentiles like myself are welcome too. They do read from the Torah scroll and translate into English. When I went, the sermons featured a passage from the 1st 5 books of the Bible and then showed its fulfillment in the New Testament. They sang contemporary worship songs with some wind instruments added and some used rhythms more conducive to Jewish worship. There are also dance lessons beforehand and some will do traditional dances and play tambourines. It is very joyful and demonstrates the worshipful way that dance can be used. They might use "Adonai" rather than Lord and show other sensitivities in the way God's name is used on the screens. I believe that it is a sincere outreach effort. If you are interested in studying potential problems with this type of ministry, I would suggest looking into the tendency for Jewish mysticism to creep in through literature and guest speakers and inappropriate sources such as the kabalah, book of Enoch, midrash, Talmud, etc. You could also look into the Tree of Life Version of the Bible (TLV) which Gateway/King's University has endorsed and is targeted toward Messianic Believers. While it is an excellent work of translation in the Old Testament and I have read 47 books of the TLV so far, and while I enjoy it, the interpreters do erroneously claim to have restored more "Hebraic thinking to the original Greek text of the NT" AND to have restored the "Original" Hebrew sentence structure. Obviously, that is a heretical point of view as Jesus and the disciples spoke Greek and Aramaic, not Hebrew except for reading Torah, and we have the very word of God as originally delivered without error, their claim casts doubt on the inerrancy and infallibility of Scripture. Yes the service is Christ centered at Celebratioin Church. I attend a Baptist Church, have all my life and have seen that it is Christ centered. The Torah as a witness to Jewish people. Also Torah means simply teaching and a good witness to a Jewish person who is searching....The gentile "portion" of the church since we are all baptized by the Holy Spirit into the body of Christ whether Jew or gentile, does not understand that THEY GENTILES are grafted into the Olive tree as taught in Romans 11, WITH the Jewish people and AMONG the jewish people not separated. THere is NOT a tree for the gentile and a separate tree for the Jew. It says "some" were broken off NOT ALL. GOD SAID SPECIFICALLY, IN Romans 11 DO NOT BE ARROGRANT AGAINST THE NATURAL BRANCHES. (OUR JEWISH BELIEVING BROTHER AND SISTERS) Romans 11 is teaching Jewish evangelism. Romans starting at 11:28 they are enemies for your sake---but several verses below 30 and 31, says, in time past (gentiles) have not believed but have believed through their (Jews) disbelief, now these (Jews) have not believed, that through your mercy (gentile evangelism to Jews) they (Jews) may obtain NOW MERCY..taught "wrong" for centuries--teaching JEWISH EVANGELISM.. IF you will study CHurch (gentile) history you will find that the gentile "portion" of the church did exactly what God said NOT TO DO. 3000 Jews saved penetcost, Acts 4 5000, Act 6:7 increased greatly in Jerusalem and MANY rabbi's..Acts 21:20 tens of thousands...this was BEFORE Constantine--then it went south. Be a Berean christian of Acts and check one of the meetings and study the Word for yourself. Ehp. 2 states the the wall of petition was broken down 2000 years ago but you MUST READ GENTILE CHURCH HISTORY inorder for you to understand. Messianic Jewish believers we be the FIRST TO TELL YOU THAT THEY DO NOT BELIEVE IN KEEPING TH LAW FOR SALVATION. Do not take someone's word for this, it you KNOW the Word you will know if it is God. Jesus said I came to fulfill the law not destroy it, "with" love thy neighbor as thy self...If you love him you will not committ adultry with his wife, steal, lie or kill him.....Where is the unity of these responses. Would you allow this comment as a effort to maintain unity among Jew and Gentile believers of Ehp. 2. He has called us to peace. Read you bring the Gospel and I will bring the bagels--will explain.